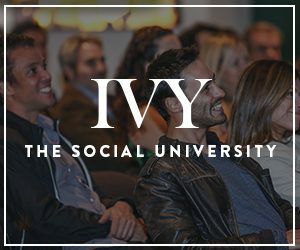 Members gathered at this IVY Ideas Night to hear from longest-running Jeopardy Champion and bestselling author Ken Jennings as he traces the evolution of humor and what it means to be funny now. In this talk Jennings argues that throughout human history, characteristics like strength and education were hallmarks of success, whereas now, using humor gets you a lot further than productivity and innovation. Now that our society expects everything from safety videos to news headlines to be funny, Jennings offers members with insights into what we can expect from here.